Vici creates work inspired by the Manx coastline and landscape, and then layered upon the fleeting images of her memory. 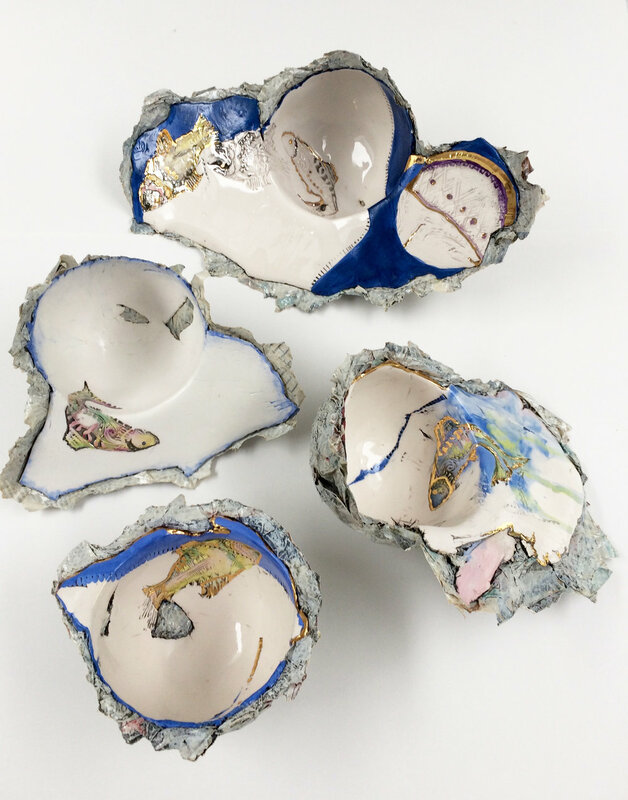 Delicate wall sculptures, bowls that can spin and wobble, ink and watercolor vignettes are all part of her oeuvre. The evolution of ideas, through making and materials, lies at the heart of her practice, a bricolage approach. Vici collects twigs and branches, chosen for their delicacy of line, bone like, ghostly, nature encroaching and use them to form negative structures ready on the manmade porcelain. The porcelain is hand rolled, ripped, stamped, crafted and wrapped in of the fun using papier-mâché evoking memories Xmas decorations and reading all the old yellowed newspaper. My work hints at a story, one that invites you to participate in. Porcelain, papier-mâché, coloured and gold glaze. Porcelain, twigs, papier-mâché, coloured and gold glaze. playing with the medium, building up in stages and layers. Passionately inspired by the ocean, Colette explores creativity through colour, fragility and our emotive landscape. These elements combined form the basis of her ever evolving artistic language, one rich in diversity, haunted by depth and evocative of experience: melding memory and emotion in timeless beauty. Kate works in a variety of mediums, including paint, print, photography and, digital process. Her obsession is with 'surface’ no matter what shape or form. Kate works between abstract and illustrative styles, sometimes both, and at the heart of her practice is experimentation and process. The inspiration for her artwork comes from all areas of her life, emotion and philosophies often explored through a variety of imagery and rooted in nature and figurative. Simple print illustrations can begin with a quote from a famous piece of literature (a book, play or poem), and other work could begin with a memory, emotion, or appreciation of natural form and the environment. 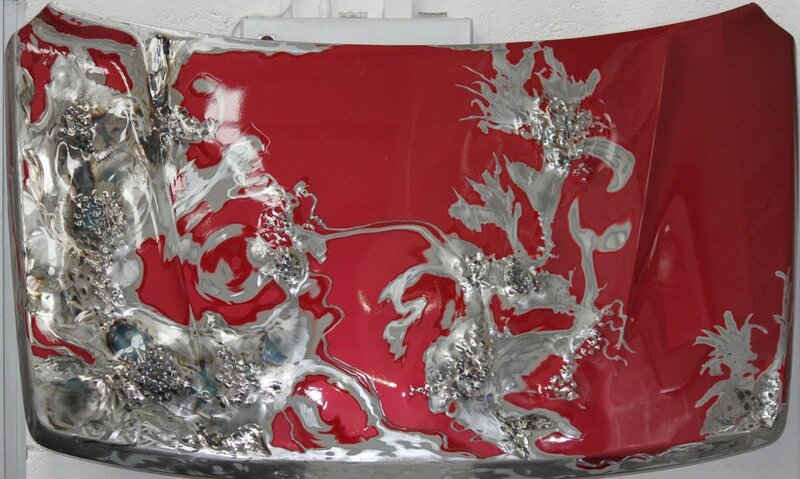 There is a recurrence of floral motifs, pattern, landscape, natural shape and form present in her work. Kate's intuitive process, allows for an accidental process in which creativity and imagination takes over from research, planning and preparing art work. Through an experimental process ideas unfold in a playful journey with paint, print and materials. Colour, music and aesthetic play an important and intrinsic role in her work. Kate work has been purchased and commissioned for private and corporate collections. 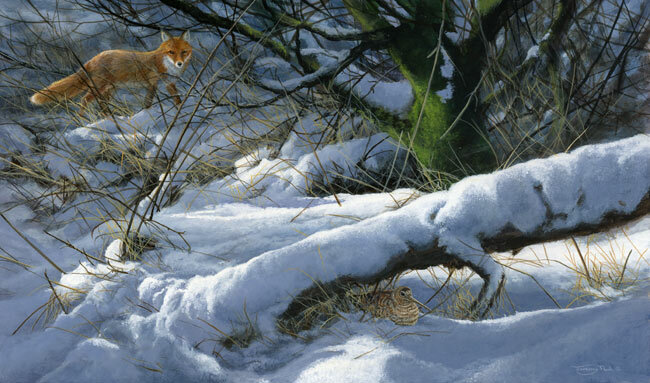 Born in Accrington, Lancashire and originally trained as a marine biologist, the essence of the art of Jeremy Paul is the accurate portrayal of wildlife in its environment. Completely self taught he works in acrylics, developing the painting in many layers of paintwith use of underpainting and glazes to alter the tone and atmosphere of the work. His paintings manage to capture a moment in time, creating a sense of quiet stillness in which wild birds or animals are seen, undisturbed by the viewer – a forgotten corner of a barn, a peaceful riverbank – small cameos, which are pictures of tranquillity. 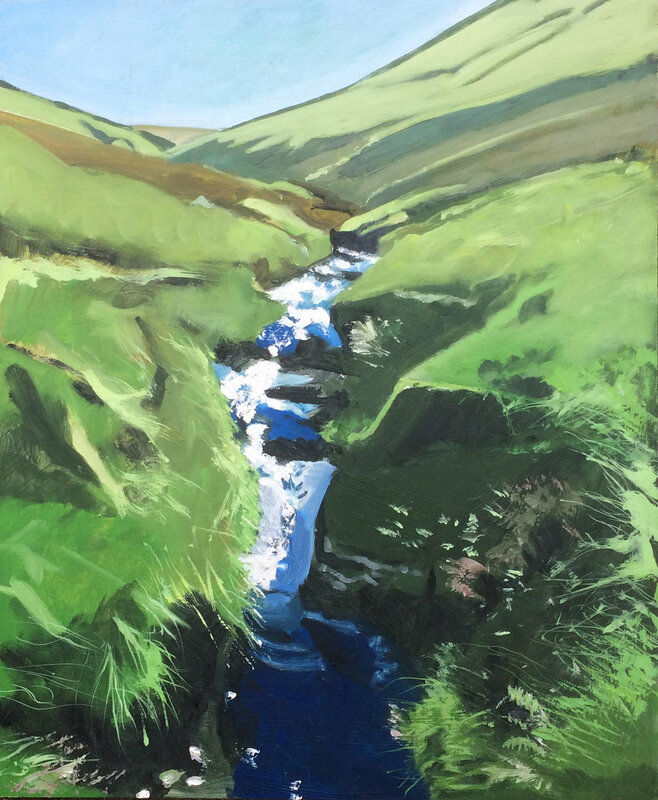 Using Oil paint Graham predominantly paints landscapes in which he wishes to captures the energy and rhythms of the natural world. Realistic in approach Graham's technique is designed to give a sense of what it is like to be present, to feel an immediacy in the image and the brush marks, to use tone and colour to strengthen a response in the viewer. Graham has shown at the Royal Academy and several other London Galleries including the Mall Galleries, Sotheby's and commercial galleries. I have work in Corporate and Public collections such as Ernst & Young, Guardian Royal Properties and the National Railways Museum. Eileen was born in Liverpool and has lived on the Isle of Man since 1975. She is a self taught artist acknowledged for her powerful and original poetic vision. Eileen's magical paintings depict a colourful dreamlike world and can be interpreted in many ways. 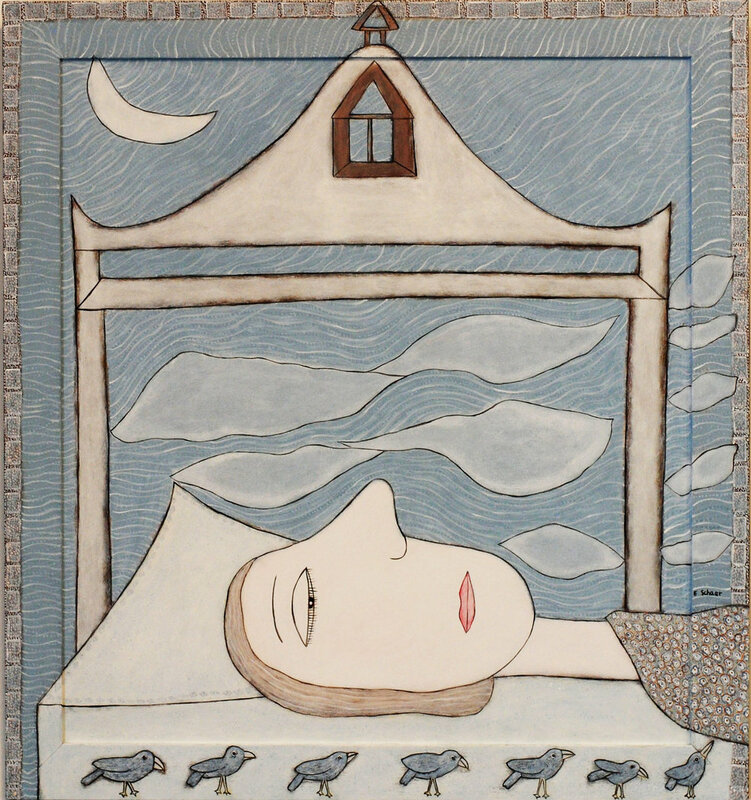 She has exhibited in |many galleries including the Royal AcademySummer Shows, Serpentine Gallery and Mall Galleries.